Your search for non-emergency medical transportation services in Milwaukee, WI ends at Choice Care Transport. 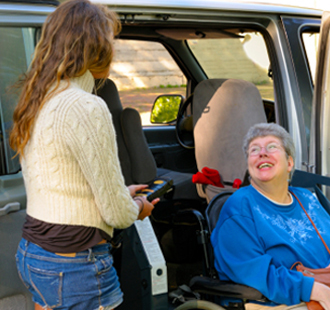 At choice care transport we go the extra mile to make medical transportation easier for those at a disadvantage. We have been serving our clients in Milwaukee County, Menomonee Falls, Waukesha, Mequon, Cudahy, New Berlin, and Brookfield with professional door-to-door transportation services and courtesy telephone calls prior and upon arrival. Our staff is the best in the area and will ensure that you get to your medical destination in comfort. If you have any questions about our transportation services that are wheelchair accessible or any of our other services, call us now.